*Dimensions shown are estimates and may not be exact measurements. Actual layout may vary. 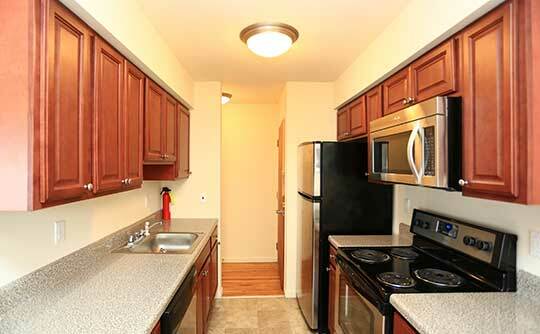 Coventry Square Apartments proudly offers one and two bedroom apartments for rent in Westwood, NJ. Set on beautifully landscaped grounds, you’ll find the view of our courtyard to be impeccable. Enjoy evening walks around the property with your canine companion and find your favorite perch among our resting benches on property. For NYC commuters seeking serene apartments for rent in a conveniently located neighborhood, Westwood and Coventry Square Apartments provide the ideal setting. Find the perfect floor plan to suit your specific needs. With a variety of one and two bedroom apartment layouts to choose from, you’ll find a spacious home to call your own. 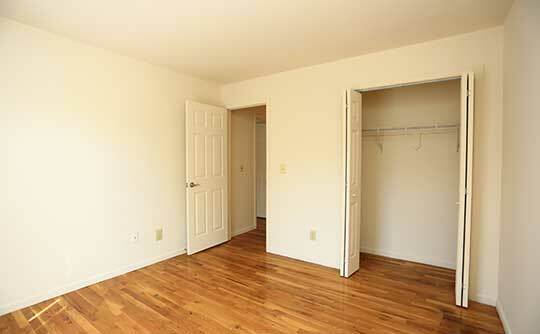 One bedroom units range from 675 to 850 square feet. Two bedroom units range from 860 to 985 square feet. Browse our selection of floor plans and discover your next Westwood apartment. Find modern elegance at Coventry Square Apartments. From stainless-steel, energy-efficient appliances to granite countertops, we’ve built your dream kitchen. Now, you just have to make the meals. Custom lighting and custom cabinetry add a sense of personalization to your Westwood apartment home. Spacious floor plans create the perfect environment for entertaining or relaxing at home. Make yourself at home at Coventry Square Apartments in Westwood, NJ. We’ve brought together all of your favorite features to create a spectacular living experience that’s just far enough away from the City to be a peaceful retreat. Contact Coventry Square for more information about current availability.